This exclusive construction app can be used to make design and measure retaining walls up to 6 feet (1.8 m) and obtain a complete project portfolio with design plans, elevation drawings, wall section details and material quantity calculations. a. Initially draw the wall and apply X and Y locations in proper way if necessary. b. Put the height. Make alteration for slopes over and underneath the wall. 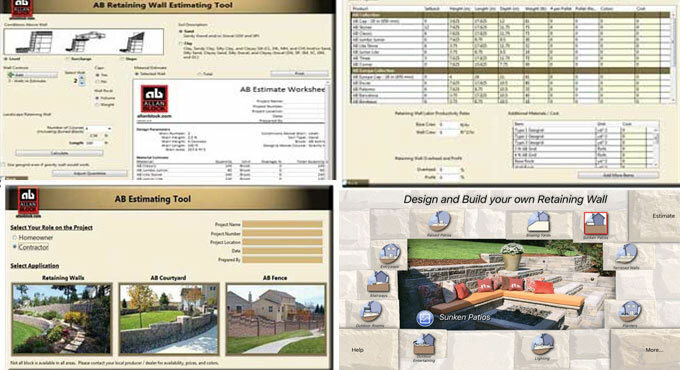 c. Select for site conditions and soils and obtain your estimate instantly. d. Explore through the project gallery to get more clear ideas. Go through the following link for online demonstration of this app.